If you pay any attention at all to anything in the world of popular culture, you probably heard that Missoni had a line of clothing and housewares at Target. 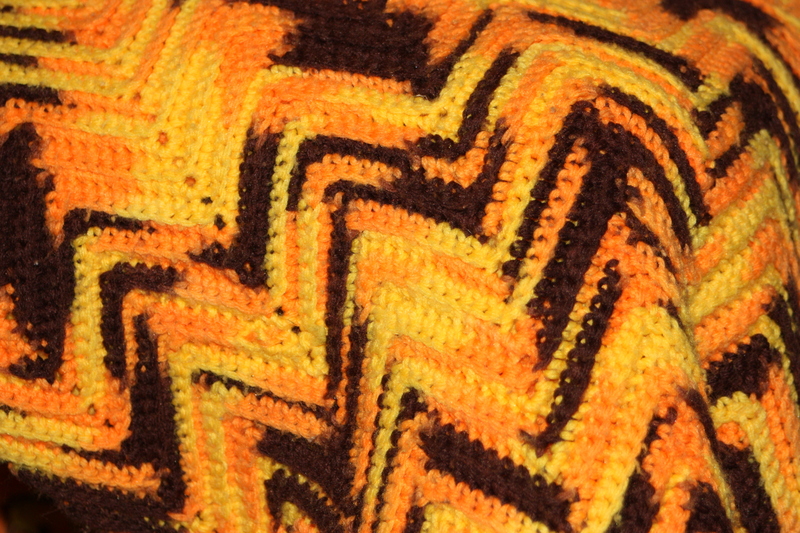 For those that are saying “uh, what’s Missoni?’, they are known for knitwear with chevron patterns. I find their stuff to look very 70’s retro. The actual Missoni line is quite pricey, which is why everyone was excited about the Target line. Apparently, the line sold out in approximately.8 seconds on the day it hit the sales floor. Some stores even had something akin to a mob scene with people filling their carts with anything and everything they could get their hands on. 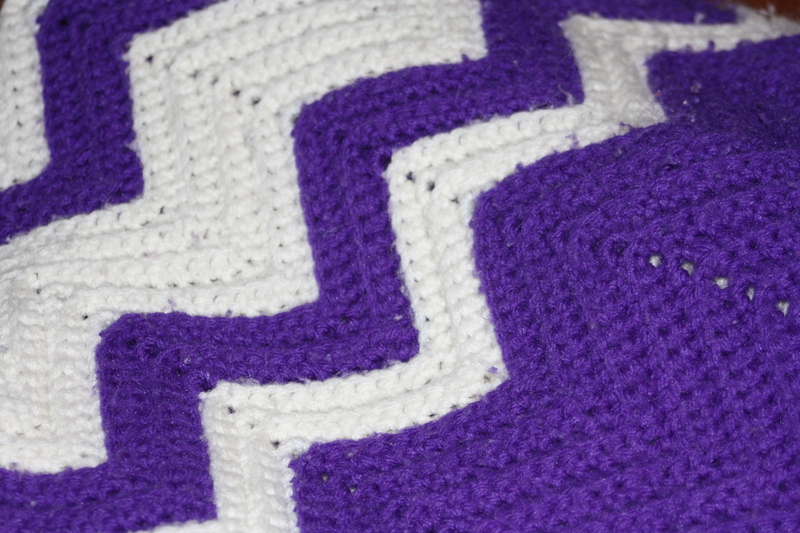 I have one more somewhere in the house that she made for me in the purple and gold of JMU. I think one of the kids may have absconded with it. Each of these afghans has special memories for me. The blue, yellow, and peach one was made for me when I was three and we moved into our new house, and I got my “big girl” bed in my new room. The purple and white one was a gift in my teens. The crazy orange and brown one was a favorite from Gram’s house for wrapping up in while watching TV. The multicolored one was one that Gram made while my Pop Pop was battling cancer, and is another one I used at her house all the time. Gram passed away in November of 2010, and using these afghans almost every day brings back wonderful memories of times spent with her, and how much she meant (and still means) to me. 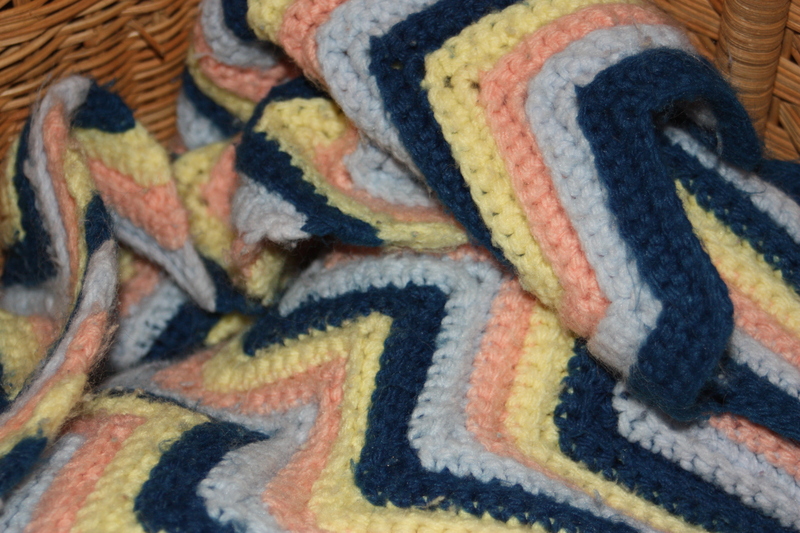 I miss you, Gram, and I think of you every time I wrap up in one of these blankets. Love your blog, Jess! So glad to have your ‘voice’ back in my life. In fact, I’ll confess to having days when I would go on Facebook simply to see your posts. 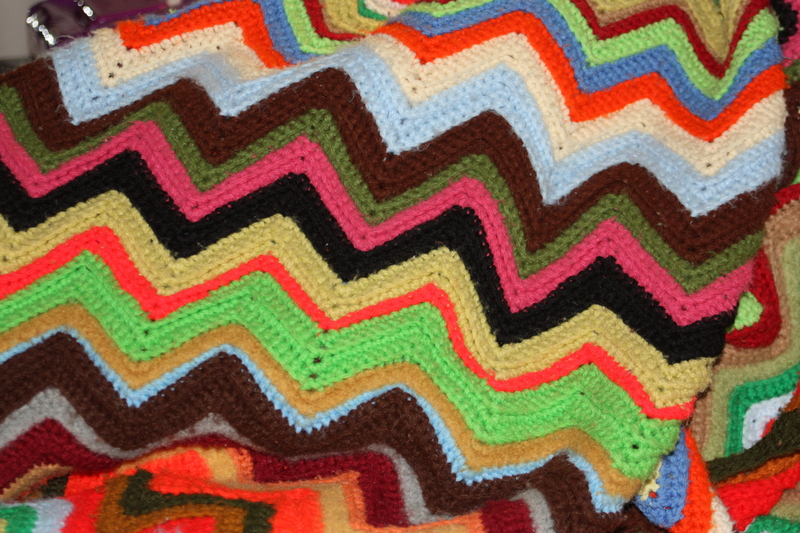 Anyway, I have several of these afghans from my grandmother (although she always called them ‘africans’ – no joke there!) and it never crossed my mind that they do indeed look like Missoni items. My grandmother passed away in 2009 but like you, I treasure the love & memories that the afghans always provide.